Knowledge : Fukuro-Obi - KIDORAKU Japan - What a Kimonoful World! Fukuro-Obi is a formal Obi. 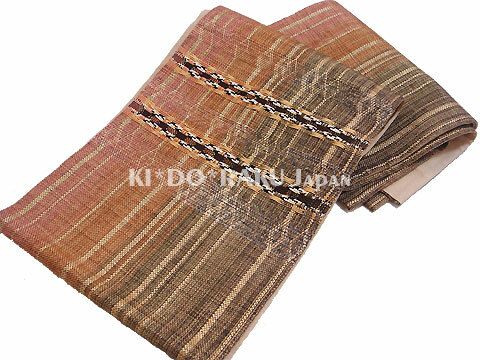 It's worn by women with a formal kimono. 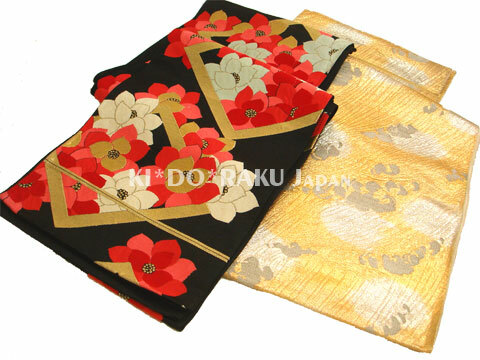 But if it has casual design, it's worn with a casual kimono. A casual Fukuro-Obi is called "Share Fukuro-Obi". it depend on their design. It's around 30cm in width, and 400-420cm in length. length of Fukuro-Obi is becoming longer. It's around 450cm length now. Fukuro-Obi was born as a substitute of Maru-Obi, at the latter part of 19 century. At that time, "the clothes improvement movement" was arising all over Japan. Many people were thinking about way to adapt Maru-Obi to more easily and lightly.